Toyota Celsior, Lexus LS400 front upper bush replacement - no more clunk! New front upper bushes got rid of my clunk and improved steering response. Toyota Celsior / Lexus LS 400 shifter removal and leather recover. I got the wheel and shifter recovered in my Celsior and she's a beauty mate. Shifter is a pain to remove compared to the Soarer. Keeping busy with a suspension rebuild, timing belt, leather, boot struts, door hinges, window regulator and hub centric rings. The entire backup of the Planet Soarer website is now available on CD. 8618 files, 700 MB. 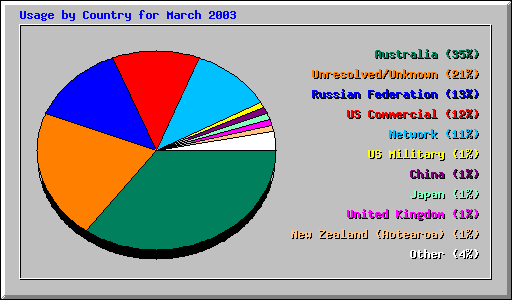 Run the entire Planet Soarer website from your CD drive. Includes bonus movies and stickers! Note the fuel economy figures - pretty high! I don't know what cycle they are using for these figures - but on the open road my V8 gets 11 litres/100km (26mpg) and Wayne's TT gets 10 litres/100 km (28mpg) - some people get even better economy. Only the UZZ30 (SC400) and JZZ31 (SC300) were exported to USA in LHD badged as a Lexus. They feature analog dials instead of 3D digital dashes and are the least complicated models. The fancy V8's and turbo models were only available new in Japan as a Toyota Soarer. The UZZ32 model (mine) is the flagship SOARER with Active Suspension and Active 4ws - heavy, but handles and brakes best of the lot. GPS navigation system for Japan only, the factory TV can be tuned for PAL. Toyota list the Active model as the car with the most advanced handling, a tight turning circle (thanks to 4ws). The suspension struts can now be repaired and the suspension "test mode" is a great party trick as the car cycles through it's full range. Mine also came with the expensive and rare reversing camera - the colour resolution on the screen is startling. The UZZ31 has the air cushion Toyota Electronically Modulated Suspension (TEMS). Soft ride, Electro Multi Vision (EMV or TV) screen was an option. BFI Part 1 Photos and explanations of how I made a BFI at home for $8 ($14 including fancy alloy cover). This is the best cold air intake I have ever tested and it outperforms a pod. And if anyone wants to make a kit and sell it you have my blessing - no copyright here. BFI Part 2 - parts list A more up to date list of BFI parts including some templates to download, as well as some BFI's from around the world. BFI 3 The prettyboy BFI, works just as well - an essential Soarer upgrade. Big Intake (BFI) Installation Guide - Paul Irwin steps us the BFI process on his TT with clear pics and instructions. Maltech Stainless Steel Braided Brake Hoses I fitted some of these early this month, result? - More brake POWER! - top stuff. Supra Big Brake Upgrade Now updated with part numbers front and rear as well as workshop manual extracts. Bleeding the TRC master cylinder. I forgot to post a link to this page over a year ago! -doh! It's a Japanese translation of bleeding the master cylinder on a Traction control equipped Soarer. 2. 1UZ-FE V8 Exhaust Camshafts - Practice Removing the exhaust cams and shimming the intake valves. Now with pictures. Evaluating my old exhaust cams, a new range of billet cams available and addressing that annoying tapping noise from the 1UZ-FE v8. Dyno Testing Here are some of the results from the 47 dyno runs in the library so far. A look at octane rating, oil type, air filters, V8's and TT's. Now download stock V8 and TT dyno data files to compare to your own! Soarer V8 1UZ-FE vs Aussie V8's After reading Aaron's SOARER V8 Dyno Run and a couple of AutoSpeed Articles about Ford and Holden V8's, a couple of interesting points came up. ALSC DDII The Australian Lexus Soarer Club Dyno Day 2 - January 2003 - everyone's photo, dyno graph, data file and road trip snaps. April '03 dyno day at Lilydale I didn't make this one - but here is a genuine C's supercharged UZZ31 V8 on the rollers. ALSC dyno day Adelaide May 2003 Martin and Karl both cracked 300 kW at the wheels! ALSC dyno day - SE Queensland Paul Gasper (see his car in High Performance Imports No 33) cleans up with 337 rwKW and best presentation! ALSC dyno library A list of dyno dynamic results for various levels of modifications for Turbo sixes and V8 Soarers. ALSC Melbourne Dyno Day July 2003 Karl pulls a 428 rwkW amongst 19 Soarers from Victoria, NSW, Tasmania and SA. Lew pulls a 241 for his auto TT and I scored a 164 rwkW with my V8. At Morpowa Gary Morris cracked 256 rwkW (343rwhp) with stock ceramic twin turbos and Peter Scott broke 180 rwkW (241rwhp) with a 1UZ-FE V8 Soarer. Planet EMV A bunch of Diehards have translated all the screens, including diagnostics, and fixed the backlight, and then let us mere mortals in on it! also includes a list of error codes. Stereo Schematics Harry Lemmens has also made available the schematics that may help people who are trying to add after-market CD players/MP3 players to their vehicle. A'PEXi RSM V1 V8 Soarers factory limited to 178km/hr - No more! Great for racetracks - has 0-400 function etc as well. $198 at Autospeed. I got mine from ebay.com.au for $45. Installing a DVD in the Soarer Glovebox (EMV cars only) CDV, Normal CD, CDR, CDRW, MP3 (185 songs on one CD), DVD, video and audio inputs for X-box, Play Station, TV tuner or video camera. by Mel Grebowski. V8 Soarer (SC400) Programmable Engine Computer Harry Lemmens can mod your ECU with more timing, higher rpm and remove the speed limit. At last! Dyno and road tuning of timing and fuel available for the V8! The best upgrade I've done. And it works for Twin Turbos too (more on that later). A Golden Oldie for the newbies. Every Soarer dash gets the blinks - it's cheap to fix, get rid of the reversing and door chimes too. Pics and stories from the first Soarer meet in Adelaide. Soarer Videos Small mpegs inside and out of Soarers driving. Terry Dean's 6 Soarer wedding - Terry makes the headers for the V8, he got married, we turned up to transport the bridal party! From Russia With Love In Vladivostok they drag twin turbo Soarers in the sunshine - well Denis Belikov does! Happy Days Amsoil/ULX-110 dyno, winning a dyno shootout against a TT, new brakes, supercharger all the ingredients for a great weekend! Thrustmaster Karl's car is very very fast. He drove it 800 km in one night just so planetsoarer could drive it (well he did do a dyno shootout and two magazine shoots as well I suppose). See videos in the video page too. Car Preparation for Trackdays Is taking your finely balanced Soarer on a racetrack the ultimate drive? It could well be. If you like steering, braking and accelerating then perhaps a trackday is for you. The Diehard Club - Phillip Island Circuit - 8 Soarers on a racetrack, 6.7 mpg, steak and cold beer. Phillip Island pt 2- Action! More Soarers at Phillip Island - the full results, every car cornering, a look at street tyres and some VCD screenshots. Phillip Island II June 2nd 2003. Rain put a dampener on things - but David Ross cracked 2 mins! 24 Porsches versus One Soarer. If you want organised Sprint days with flag marshals and timing in South Australia - the friendly Porsche Club is the go. 27 Porsches versus 1 Soarer (Round 2!) Mallala Shift kit, harness and practice chops a second off my best time (1:27.72). MP3 audio download of 1 complete lap, lots of pictures and all the times. A closer look at what Mallala does to brakes and some tyre experience. Armchair Racing at Mallala 10 Short video clips shot in and out of a Soarer. See Porsches spinning out, a Soarer overtake a race Porsche on the inside, hear a EVO scream and dive past under brakes - it's the risk free trackday. Includes pictures and fine food guide. 54 Soarers in Geelong They came from NSW, SA, VIC and QLD for the West Coaster SuperCruise. Phillip Island November 2003 Seven Soarers, all PB's - Fabulous experience. Put a drive at Phillip Island on your to do list. Time Attack! Just like a video game, 15 laps to post your best time. Soarer vs Falcon XR6turbo vs Ford GTP V8 vs Subaru WRX STi. Maybe you've driven Phillip Island in the game - this is for real! When a V8 spoils your Twin Turbo day - it's time to spend some cash and seek revenge!!! Race Pics - Gallery of Soarer Race Pics. Some wallpapers. V8 Exhaust Measurements Pressure loss and mass of the standard V8 exhaust components. Which bits you should change first and a look at different cats. Rear Muffler Replacement Stainless steel straight through rear muffler over the counter for $179. These mufflers are quiet (no drone). Soarer Exhaust sounds1UZ-FE V8 Soarer gets louder as you remove the exhaust components - listen here. Now includes a 2.5 inch single pipe and muffler sound (replaces rear four mufflers)and Dynamic on road sounds due to popular demand! But wait there's more! -Stereo high speed Roaring Soarer V8 drive byes, 10 Soarer drive by - pick the V8's from the 6's and extractors and dyno runs. Acceleration testing - Exhaust, The Results Acceleration timing stock, 2.5 inch single and full dual 2.5 inch system with x-pipe. The Battered Sav Finally got around to putting on a complete exhaust system consisting of twin high flow cats, X-Pipe, and twin straight through mufflers. Find pictures of complete underside of a Soarer and mpegs here. V8 Exhaust Complete rundown on my current exhaust from headers to tips, includes the biggest photo of the underside of a Soarer ever! Soarer V8 Extractors (headers) Page now includes thumbnails of extractors that have been JetHot coated - they look fantastic! Aaron has no got some fitted - see ALSC Dyno Day. Catalytic Converters - A look at Cats for your V8 and twin turbo Soarer, and the difference with the Lexus SC400 exhaust system (US model). Diagrams of all the exhausts here as well. V8 Headers - the best bang for your buck. Without a doubt fitting headers to your V8 gives the most pleasure and the biggest power hike. Ram Air Intake On going saga of testing and building proto-types. Latest is 50% larger intake using injected foam as a mould. Acceleration testing - Intakes and Exhaust, Introduction Descriptions of an elephant snorkel intake, bolt on 2.5 inch single exhaust replacement, injected foam moulds of the intake and bigger ducts between AFM and throttle. Acceleration testing - Intakes and Exhaust, The Results Acceleration timing BFD, BFI. Siting Cold Air Intakes Photos, explanations and test results of different spots in the SOARER bumper to place a cold air intake and pictures of my home made U-tube manometer - this is what you want to build to accurately test an intake. The Intake Resonator The intake resonator on the V8 and why you should probably leave it the way it is. Always fancied one, the 15 year old import rule meant they were better value then ever. Time to go shopping. The Celsior is now complied and registered. Changes include seat belts, intrusion bars, side mirror and fuel filler restrictor. Allow $1200. Some States don't need belt change now! Mr August - The planetsoarer dude for August is Denis Belikov (Russia)! Denis is back with a new paint job and new engine/driveline combo for season 2004. Original Soarer Sales Brochure Photos. I scanned my favourite pics from Rob Hayden's library, engines, interiors, exteriors, features etc, majority from Japanese sales brochures. Submit an Article to Planetsoarer. Guidelines and templates on how you can submit an article to have published on planetsoarer.com. It could be a tech article, feature on your own car or a meet. Karl's high power Soarer just might have been sold - it was a beauty. This is the 2nd earliest version of my website I could find. It wasn't called planetsoarer back then , it was called "Soarer Tech Stuff" - then it became "Pete's Soarer Tech Stuff" and then "Soarer Diehard" and now "planetsoarer". Pyramid of Speed - from the NSX club. Humorous piece from the NSX guys. Includes short bonus video depicting the top level. Headlight Cleaning and Bulb Replacement Is it raining inside your headlights? aarrrrrrgghhhh! And (cheap) bulb replacement. Oil Analysis Links to oil stuff and the results seven (8) V8 oil analyses. A great way to tell how good your oil really is and how much dirt is getting into your engine. Now with more oil links and list of oils tried so far. Shell, Castrol, Caltex Halvoline, Penrite, Mobil 1 and ULX-110. Fuel Filter Part number, where it is and how to change it. And some stories of what can go wrong! Changing plugs and leads (wires) Here's how I changed the spark plugs and tested my leads (I had to change mine). Lots of thumbnail pictures. Now with 23 thumbnail pictures and diagram of correct lead resistance. Lowering your Airbag or Active V8 The airbag V8 and Active Soarer is easy to lower - here's how I did mine. Now with more pics and before and after shots. Toyota Parts CD 5 CD set that includes every part number (and exploded diagrams/pictures) of every Toyota 1991-2000 (including Soarer). Silent Rubber Bushes with Shock Control Slots - At last, proper non squeak quality riding control arm bushes - I love them! So good that Toyota resell them. Upper Control Arm Bushes Andrew Vlamos can now provide superb Upper bushes to match the lowers - get that new car feel back again. My balljoints were stuffed and making the steering wheel shake. The Pedder's drive on shock test confirmed that my front shocks are worn as well. Australian Lexus Soarer Club members give feedback on their positive/negative experiences with mechanics, exhaust shops, wheel alignment and suspension workshops. Dash Repair for Dummies - (Combination Meter) Clean your dash display , repair the bits that don't work, remove the reversing beeper and door open chime in just a few easy steps! With air bag light removal procedure at end. Soarer Steering Wheel Refurbishment Manny has also written this page now hosted on the ALSC - details removing and fixing the leather grip around your wheel. Japanese and English workshop manuals, wiring diagrams, spare parts CDs, 1JZ / 2JZ engine repair manuals - all the factory stuff. Gold!. Parts Dismantlers - Partial list of Australian wreckers who have Soarer, 1UZ-FE, 1JZGTE & 2JZGTE, Crown, Aristo & Chaser parts. Air-cond filter replacement Peter Nitschke has got a few pages up now, this one show how to replace air cond filters. Door Trim Repair - Aaron Elliot and Steve Howlett attended the Soarer Workshop Day in Melbourne - pics and words on repairing the common door trim cracks on the Soarer. Air Filters, Oil Filters and Oil A closer look at filters for oil and air, prices, part numbers and oil recommendations for your Soarer (Lexus SC). Engine and Transmission Mounts If your Soarer is getting up around 100 000 km (60 000 miles) then start saving for new rubber mounts! Shift Kit, Cooler, Line Pressure and ECT/NORM switch I've modified my auto transmission with a shift kit, installed a cooler and adjusted the line pressure. Fuel Gauge Blues Peter Nitschke shows how to clean your fuel gauge - no more guessing and running out of petrol. V8 Power Steering Pump Repair. Happens to every Soarer - the dreaded power steer leak, then alternator dies - arrrgghhh!!. Another excellent page by Mel Grebowski. I love Mel's stuff - great explanations and pics. Petrol smell no more Two clamps near petrol tank to stop those petrol fumes. Change the diff oil and the diff (TORSEN) Metal chips in my diff oil - arrrgh! So took an hour (roughly) to change it.......hmmmmm. A Toyota TORSEN diff is not quite like a clutch LSD. Fabulous improvement to the car. Reversing lights - My reversing lights and hence reversing camera would sometimes work - sometimes not. This switch block was the culprit. V8 Timing Belt Change, and serpentine belt change. We all have to have it done sooner or later. I had a crack at changing it myself. My UZZ32 is a bit different to regular V8's but most of it is the same. Pics of my steering rack bush install. The results were excellent. New car feel and "tightness" has returned..
Gary got himself an ADR compliant steering wheel. A common cause of poor idle and stalling. The IAC can be repaired by replacing a couple of cheap bearings. Video's of Andy's supercharger on Day 1 Other videos on this page too. Eaton MP112 supercharged Jaguar V8 A closer look at the Jaguar XKR - a model for the Soarer V8? Toyota Supercharged V8's Bullet Toyota Supercharged V8 in MX5 and 2000 hp 1UZ-FE. PDF's of two magazine articles. Japanese C's supercharger versus Australian EFI dynamics When Japanese C's Supercharged Soarer turned up in Australia - the ALSC grabbed it and stuck in the dyno. Also includes some of the best supercharged links to read and Jim Roal's terrific homepage - get comfortable for a big read! M90 1UZ-FE Test Drive. So what's it like to drive a 1UZ-FE with an M90 blower installed and how's it compare to a Twin Turbo Soarer? Bill tells us what he thinks - and it's GOOD! Eaton Boost and Pulley Change. Estimating boost and power from different size pulleys on the Eaton M90 & M112 superchargers on the 1UZ-FE. A look at Pulley suppliers and special tools to pull them off. The Planetsoarer Phase IV Twin Intercooled Supercharged V8 - part 1. Two years ago it was just a personal dream. Part one of the Journey. The Planetsoarer Phase IV Twin Intercooled Supercharged 1UZ-FE V8 -Part 2. A further look at the Jaguar blower, Jaguar factory specifications, lowering compression, changing injectors and some costs of available upgrades. planetsoarer supercharged V8 - part 3 - The supercharger, twin intercoolers and the pump have arrived from England, two spare motors from Australia are already in the shed and the factory example is across the road! I tried the hard way to remove the supercharger pulley and all I got was a nasty rash. So I got this terrific puller from the States - it's a beauty. A Pulleyboys modular pulley system was my choice for the pulley. DIY Twin intercooled Eaton M112 supercharged V8 running 10 psi ! Marlew Manufacturing Lew Marlew specialises in Toyota Soarer / Lexus SC upgrades and modifications. His dump pipes are the V8 Headers of the twin turbo world - All the big power cars have them. Twin Turbo 6 cylinder Stuff Replacing Soarer ceramic turbos with Starlet steel ones. Twin Turbo Upgrade Path - Dyno graphs and pictures of Emanuel Spinola's TT upgrades from stock 136 rwkW to 199 rwkW to 243 rwkw and ALSC dyno champion! Soarer Twin Turbo Removal and Repair by Jake Purches. Pictures and words on how to remove your turbos to get them repaired. Takes a while for the 800 kb of pictures to download but worth it. Have a look even if you don't have a turbo! Twin Turbo 1UZ-FE V8 in a Cobra Pics and words of Paul Gillis's TT Toyota V8 !UZ-FE in a Cobra with 220 kW at the wheels. Custom twin throttle body, non intercooled. Link to the Mech Tech Twin Turbo SC400. Twin Turbo 1UZ-FE V8 in a Celica Jamie talks about turbos, head porting and ECU control of a custom twin turbo intercooled 1UZ-FE V8 in a TA22 Celica. Currently at 245 kW at the wheels with more to come. See Jamie's car at the ALSC Dyno Shootout in Jan 2003. Twin turbo 1UZ-FE V8 in a Lexus LS400 David Phan installed twin turbos on his Lexus V8 LS400 (Celsior). Information, research, videos, photos, dyno testing - it's all there. 34 A4 pages:- 5 magazine tyre tests, personal experience and some circuit tyres. The budget Pirelli PZero? The low cost Michelin Pilot Preceda? Not as much grip - much much higher treadwear coefficient - quiet and steer very well. My new 16" rims needed some tyres and Kumho ASX tyres fit the bill. Wheels falling off and broken studs. Wheels without spigot rings can spell disaster. Things to consider buying some rims for your Soarer (or any car for that matter) thanks to Ronal Wheels. Rob Hayden posted a wheel weight table for every rim, that's included here as well. I imported two sets of rims from Japan in a Van. Also includes a whole bunch of stuff to consider when shopping for rims for your car including Rob Hayden's wheel weight table for every rim ever!. Low profile tyres or FATS! My new 16 rims needed some tyres and Kumho ASX tyres fit the bill. 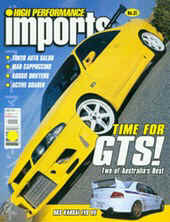 Active Suspension and Active 4 wheel Steer A Toyota technical paper all about the UZZ32 Soarer. Read why it stops quicker, turns sharper and out handles every other Soarer. Bleeding the UZZ32 hydraulics Changing the old suspension hydraulic fluid for new Toyota fluid for a smoother compliant ride and better handling. A successful suspension test is essential for a good bleed. Active Suspension Computer Diagnostics Richard Ashcroft has a UZZ32 - after an alarm install the suspension wouldn't work! It was a loose plug! Here's the list of all the pinouts for the computer and range of standard values and problem locations. Active Suspension Test Detailed instructions on how to make your UZZ32 dance in the driveway - great part trick and terrific for lifting the before an oil change. UZZ30 Owner drives the Active UZZ32 - Peter Kerwin, a UZZ30 (US spec SC400) owner, looks at both the UZZ30 and UZZ32, features, ride, cornering/handling and loud exhausts. UZZ32 in a Magazine Martin Donnon was editor of HPI, he drives my UZZ32, order back issues too. Look carefully on the left hand side of the cover and you will see "ACTIVE SOARER" - that's the bit about my car. Back order issue number 31. UZZ32 Active Shock rebuild - $160 gets you the parts you need - not that complicated. UZZ32 4ws rear wheel control arm bushes. Andrew Vlamos has made a limited number of these bushes for the Active UZZ32 Soarer. We will all need them so get yours now. UZZ32 Owners List If you are not on the list please email me again. Now with thumbnails of the cars so send me a pic as well. Email list will have bounce updates soon. (you know it's a 32 when it has TRC, blank and Height switches - no TEMS switch).Includes some stats, info and pics, email list and owners list. Active UZZ32 Valve Body Reseal Fixes suspension sag and jerky adjustments. Eliminate bounce with boot sensor. Nitrogen recharge of Active Struts - My Active suspension used to be harsh and it bounced when it shouldn't. Now at last it's like new. I wish I did this years ago! Active Soarers have piston accumulators that leak nitrogen and cause the dreaded suspension bounce. Here's one cut open with the faulty o-ring exposed before being re-built. Andrew Vlamos has now completed all the bushes to make our fabulous UZZ32 like new. These bushes are easily damaged by leaking oil from the struts. If you have one of the rare V8's with 4ws and active oil suspension then these Error Codes can help diagnose problems. Thanks to Jeff Harper. It's an Adobe file so you'll need the Adobe reader download. The classic Justin Hughes Phillip Island Video. See the Australians let loose on one of the World's great race tracks. 110 mb wmv file. My all time favourite. Excellent editing, top music (starts with Batman) - Juzza is a pro. Including the Bond, James Bond movie clip (no I wasn't saying it! - Juzza just made it look like I was!). Another classic Justin Hughes music video clip. This is only the first third :( - we'll see if we can get the whole thing up later. Also incar Soarer footage racing and spinning. Small videos of Soarers - including the ever popular Turbo versus Active Circle work vid. Humourous piece from the NSX guys. Includes short bonus video depicting the top level. Only one video at the end of this page and it's popular! Latest video (had the link wrong sorry) (35Mb), right click, save as, rename the link as stevewinton.wmv and enjoy! A Soarer with the same mass (1290kg or 2800lb) of a Porsche GT3! - circuit officials let Steve go first so no-one gets in his way. Bags of fun and sounds great with the straight through exhaust. Australian based forum, tutorials, specifications and events for Soarers and Celsiors. www.sportsluxurycars.com.au Craig Dean (2nd outright, Targa Tasmania in Toyota Soarer!) regularly wins the Phillip Island sprints, sells, services and has parts for Soarers - a good bloke. Neil Griffiths is a Soarer diehard - catch him on the ALSC forum. Neil sells, services, imports and stocks parts for the Soarer. Located Queanbeyan NSW. importacar.com.au Karl Hardy is a good bloke based in Melbourne. He can get you a RAWS car from Japan or any car over 15 years old. Jeff Harper's site - parts for Soarers (and models) and a buying service for Yahoo Japan. EFI Dynamics The Melbourne based tuning house for twin turbo and V8 Soarers. Get an easy 171 rwkw on your TT with stock intercooler! This salt lake is just up the road from me - I want to fit a roll cage and join in - I reckon it would be great. Maybe next year? Lot's of interesting reading here. 204 MPH (328 kph) 1JZGTE !! Congratulations to John Brougham - 1st 6cylinder to 200 mph and a heap of records. Whenever I lose motivation to work on my car, I read John's site and get recharged. This guy worked so hard, makes anything I do look like peanuts - read the "Construction" heading for example. David Hart put me on to this one. Lots of great information on wheels, tyres, oil etc - worth a read. Andrew Miers website, www.thesoarer.com, describes an upgrade path to 250 rwkW for the twin turbo Soarer. Marlew Manufacturing Lew "Pipe Whisperer" Marlew specialises in Toyota Soarer / Lexus SC upgrades and modifications. His dump pipes are the V8 Headers of the twin turbo world - All the big power cars have them. No nonsense tech site - Warning messages, Diagnostic screens, removing trim, headlight clean, cruise delimiter etc. Now with factory Soarer wheel alignment settings and a PAL TV for $700. If you need to get someone to fix your V8 now then this is where you go. Don't forget to read the FAQ. Top Speed delimiter available. Very flash site - caters to all Lexus vehicles not just the Soarer. The Soarers over there (re-badged SC400) have coil suspension,an analog dash and no Electro Multivision Screen - eliminating a lot of the problem areas for the Japan model. USA also have the benefit of a dealer network - not like Australia and England where the Soarer is a grey import - they can get any part, any service no problem. There are also large aftermarket performance product manufacturers - you can buy anything you want for your Lexus. Compare this to Australia where it is a battle to get the correct fuel filter! A lot of debate over which is the best aftermarket products to buy. It's where most of the U.S. guys hang out. Forum software ranks everyone depending on number of posts - no preview mode, "cool" on-line names is the norm. Dedicated to the SC400 (US spec Soarer). Links to discussions on ClubLexus, an in-house dedicated SC400 forum, a bunch of products you can buy including a replacement ECU. Independent tests on products offered are a bit sketchy at these early stages. Very much a US orientated site with links to performance parts sellers in US plus a listing of Lexus dealers. Check out Todd's 12.30 sec Soarer V8. Standard except for NOS. Todd is also the guy to get Lexus badges from if you feel the need. A lot of this stuff is applicable for all cars - give it a read for sure. Internet Ezine site. This place is an absolute breath of fresh air. So much free stuff and real cheap. An absolute must. I have waded through so much rubbish, one sided advertisements, endured countless re-telling of myths - especially performance myths - and read brainwashed lemming's opinions of over the counter "performance" products, that I was beginning to think that no-one could independently think for themselves. Gullibles' who read the side panel of a "performance" product and then start sprouting it's virtues from a position of expert authority. If you have had enough of this sort of stuff then AutoSpeed is for you. Related AutoSpeed Articles I started putting a list together of some of the articles at AutoSpeed that I thought were extra interesting with regard to the V8 Soarer. Turned out to be about 12 A4 pages long! - Oh well! A bunch of them are free. I reckon these magazines are pretty good too. This is where you go to order back copies etc. I have referred to specific issues and Soarer articles elsewhere here - so if you want your own copy this is where to start looking. Sometimes it is best to ring 1800 801 647 (Australia) to see if they have your copy in stock - the entire list is not on the Webster either. Grab a copy from the newsagent for little pictures of past issues. Beer: Where ever you are Coopers is the go. partslocator.com.au Search for wreckers, parts dismantlers, auctions, half cuts, Soarer, Crown, Aristo, Chaser, Cellist, 1UZ-FE, 1JZ-GTE, 2JZ-GTE. Got any links, ideas, questions, information? e-mail me. I am especially interested in experiments/investigations relating to Soarer performance. "Planet Soarer" is for the, and used to be titled, "Soarer DieHard" which used to be called "Pete's Soarer Tech Stuff". No frames, no multilayers, no pop-ups, no copyright warnings. Just one plain index page where you can see everything and see where the new stuff is.